Andalusia with its beautiful countryside, fascinating culture and long sandy beaches is easily accessible by plane. Depending on your final destination you might need to take a regional flight, but the main locations are all served by large international airports with excellent railway and road connections. Malaga Airport is Andalusia’s main international airport and lies only 8 kilometres southwest of the city centre. It is Spain’s fourth busiest airport and it served more than 12.5 million passengers during 2012. Scheduled flights to more than 60 countries, including Canada, USA, Australia, Thailand and Russia, depart on its two runways from three different terminals. You can fly here from twenty different Spanish cities, such as Barcelona, Bilbao and Madrid, and over a hundred European destinations like London, Dublin, Paris and Berlin. Over 80 different airlines fly in and out of Malaga Airport, including low-cost carriers like EasyJet, Ryanair and Vueling. Wherever you plan on leaving from, you are sure to find flights to this airport either direct or through connecting flights. A railway connects Malaga Airport to the city centre and Costa del Sol as far as Fuengirola, with trains every twenty minutes. The coastal road A7 and parallel toll road AP7 give access to Marbella and Gibraltar in the west and Nerja in the east. Trains and buses from Malaga’s María Zambrano train station can take you further into Andalusia to destinations like Granada, Cordoba and Seville. Seville Airport, San Pablo, has several national and international departures every day. Its main airlines are Vueling and Ryanair, which offers low-cost flights from mainly Spanish and European destinations such as London, Rome, Barcelona and Madrid. The airport is located 10 kilometres northeast of the city, and a bus leaves every half hour for Seville’s central station. 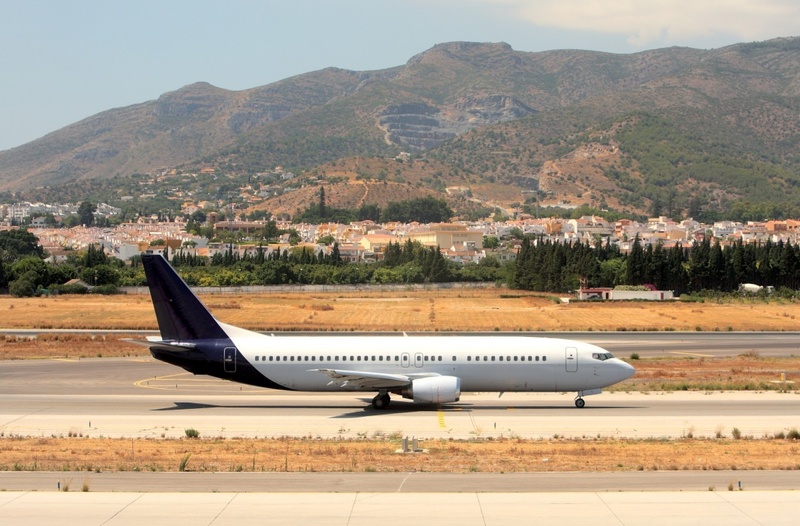 The airport in Almeria offer mainly charter flights from Northern Europe, though there are scheduled flights from Madrid, Barcelona, London and Dusseldorf among others. Jerez de la Frontera and Granada has some scheduled national flights as well as flights from the UK. The small airport in Gibraltar opened a new terminal in 2012 and has on average four daily flights to various locations in the UK. No matter where in Andalusia you plan to go, you shouldn’t have a problem finding a flight to take you there. Remember that flights may be much more expensive in late spring and summer, and that you might need to book well in advance if you plan on visiting Andalusia during that time. Flying to Andalusia is not the only way to get there. A lot of visitors choose to come by car or by train. There are also some visitors who come by ferry to continue their holidays from Canary Islands to Andalusia - there are ferry lines from Las Palmas de Grand Canaria and Arrecife in Lanzarote to Cadiz in Andalucia and from Las Palmas de Gran Canaria and Santa Cruz de Tenerife to Huelve in Andalucia.